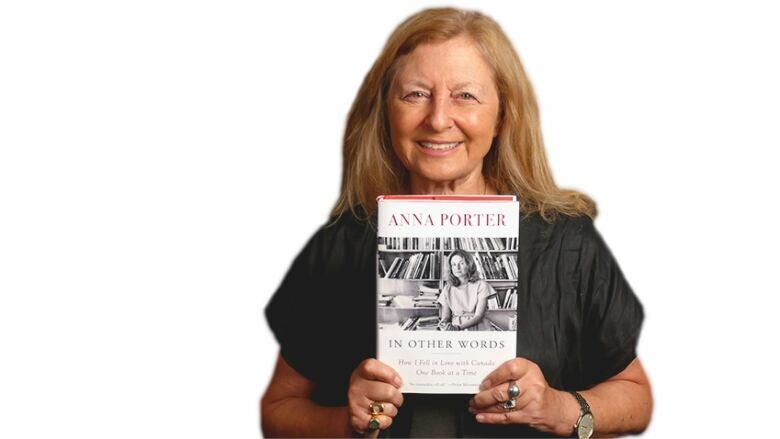 Ann Porter discusses writing her memoir, In Other Words: How I Fell in Love with Canada One Book at a Time. Anna Porter was born in Budapest, Hungary, studied in New Zealand and began her publishing career in London, England. But it was moving to Ontario in the 1970s and working for publishing company McClelland & Stewart that made her decide to establish roots in Canada for good. Porter describes her experiences in her memoir In Other Words: How I Fell in Love with Canada One Book at a Time. "I was really just passing through when I arrived in Canada for the first time. I'd been to England, then Italy and then a number of other places. I was coming to Canada and was going to move on — or so I thought. But I fell in love with the place almost as soon as I arrived, which is odd because I was impoverished. Everything I owned was in a small blue suitcase. I'd lost the handle of the suitcase but everybody was quite kind, even including the overdressed doorman at the hotel where I was staying." "My first publishing job was changing the spellings in American textbooks. It was outstandingly boring. I tried desperately to find another job. Jack McClelland at the publishing company McClelland & Stewart was impressed by my audacity in wanting a job in Canadian publishing when I hadn't been here long enough. He thought it was it was going to be a challenge for me, so he gave me a challenge. He told me to read Canadian authors from The New Canadian Library series and if I do that, I could show up for work. I had four days to make my way through the books. I did not like all of the books, but I did love some of the books." "There was a mission in wanting Canadian literature to be recognized for its extremely high quality. Soon after I began to work there, we all felt that we were doing something immensely important for the country — that we were sort of holding up a flag of Canadian identity through writing. Back in the 1960s, Canadian books were held in low regard in bookstores. If you could find them at all, they were in a small section called 'Canadiana.' Now, looking back, it's extraordinary that Canadian writers should have been so liberally ignored in their own country. I've been very fortunate to spend so much time with storytellers." "There wasn't a lot of diversity back then. I think we missed the boat on writers who subsequently have become very successful — particularly Indigenous writers. But we were getting a hundred at least manuscripts a week, a huge number. We did miss a lot, missed a lot of writers we should have published. We couldn't keep up." Anna Porter's comments have been edited for length and clarity.